The word auteur is simply the French word for “author.” The essential idea behind auteur theory is that a filmmaker exercises an authorship over his work, and this authorship is present in every film he (or she) makes. The theory was born with the French New Wave cinema, from 1958-1962, with a group of French filmmakers headed by Francois Truffaut. I’ve previously analyzed two of his short films, Antoine et Collete (1962) and Les Mistons (1957). 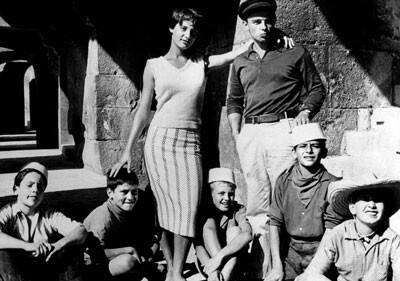 The French New Wave was one of many film movements that sprung up around the world in protest to Hollywood’s monopoly of popular film in the post-World War II years. You can read more about post-war cinema and the anti-Hollywood sentiment on Eric Elie’s blog. At a mere twenty-one years old, Truffaut wrote the defining article for auteur film, titled “Une Certaine Tendance of Cinema Francaise” (“A Certain Tendency of French Cinema”), first published in the magazine Cahiers du Cinema in January 1954. Since then, a horde of scholars and critiques have added their thoughts to the tenets of auteur film, and a even greater horde of filmmakers have added their mastery to the history of the art. Here I hope to highlight a few of those scholars and many more of those excellent filmmakers. … and he goes on to list several underappreciated films by his friends and colleagues that he feels defines his outline of an auteur. His analysis of good filmmaking seems a bit self-serving, but it is his ideas and films we remember and study today, while those of the “Tradition of Quality” he comdemns have fallen to the background of film history. Next up, I will outline some of the critique and further development of auteur theory. Similar to Les Mistons (1957), Francois Truffaut once again focuses this short on the pains and miscommunications of young love. Truffaut obviously felt adolescence very intensely. 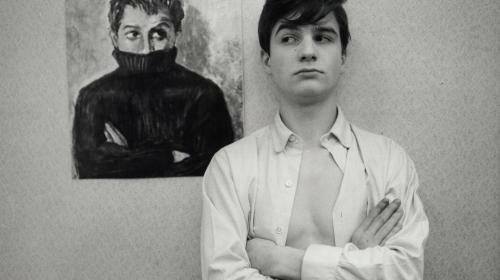 This film is part of an omnibus collection L’Amour à vingt ans (Love at 20), and is also the second of five films the director made starring his alter ego, Antoine Doinel. Culture Cartel describes more of the context of the film. Colette was of more interest to me. Unlike the typical Hollywood female roles of the time (I’m thinking of Marilyn Monroe in Some Like It Hot), Colette (played by Marie-France Pisier) is an independent, educated girl. She weilds all of the power in her friendship with Antoine, and whether or not she is purposefully toying with his emotions is unclear, though probable. Even though she’s the reason the film does not have a “happy” ending, I can’t help but like her. I also cannot help being reminded of a more recent film with the same themes, 500 Days of Summer (2009), starring Joseph Gorden-Levitt and Zooey Deschanel. The female lead in that film, Summer, fosters a relationship with the male lead while spurning his romantic advances, just as Colette does with Antoine. Independent female aside, the trials of young love are obviously a theme filmmakers return to continually and explore in a myriad of personal ways. 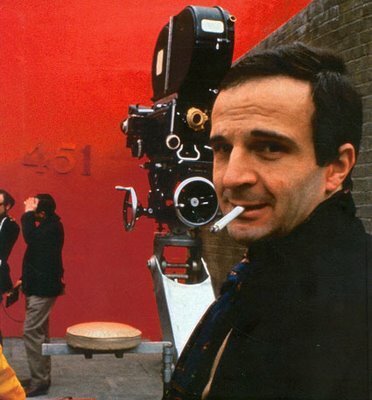 Truffaut used every possible device to make the film as sensuous as possible; it is a catalogue of trick effects, from reverse motion (in the scene in which the young boys play cops and robbers) to slow motion (the lover’s final kiss on the balcony; the shot of one of the young boys kissing the seat of Bernadette’s bicycle in innocently sexual adoration). FilmsdeFrance.com also discusses how this film is a shining example of the French new wave cinema movement. Les Mistons heralded a much needed return to the age of the free-thinking independent film directors of the past, when film-making had been an art, not just a shallow commercial exercise. So though I may not appreciate a film where the audience’s sympathies for the characters are only perfunctory, the film still has a timeliness and artfulness that is important to consider.